Pray the same prayers in Chinese. Equip Chinese speaking believers in your city or in your church. 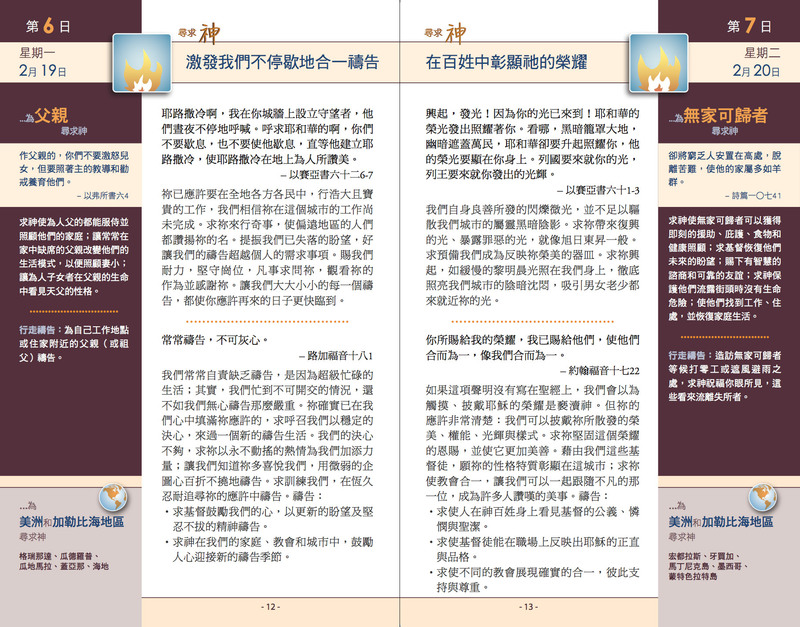 The Chinese version contains all the same scriptures, prayers and practical ideas in the same 64-page format. Prices and discounts for the printed version are the same as the English version. You can order traditional Chinese copies online. Greater quantity discounts may be possible when ordering English and Chinese copies at the same time. Click to see sample page (traditional).